The 405 holds a value to the average Angeleno much in the same way that a Parisian views the Bois de Boulogne. A place that is both romanticized for its insular, contemplative capacity, but more often mocked. And while the Bois maintains a stigma for prostitution, the 405 is chastised for being an insufferable, nihilistic waiting game. A tin avalanche, for lack of a better term. That is how Damien Chazelle, fresh off the success of WHIPLASH, opens his post-musical musical, LA LA LAND. What we have here is not a film about loud, outward emotions. It’s a somber, often meditative love letter to the City of Angels and the dreamers that inhabit it. It is to actors and musicians what BIRDMAN is to writers and directors. Is it too early to make a best picture prediction? I don’t think so. LA LA LAND might be the single most inventive musical ever created. With the closing of its first song and dance, Chazelle makes quite a few things clear. As much as LA LA LAND is a colorful, Jacques Demy-infused musical, it is rooted in a realism that’s been all too foreign for the genre. Lead actress Emma Stone drives a Toyota Prius here, her apartment — albeit wallpaper clad — is nothing extraordinary, and her day job a relentless bore. LA LA LAND ditches the jovial enthusiasm of a “Good Morning, Baltimore” in favor of the melancholy we later witness in “City of Stars” and the hopeless romanticism of “Audition (The Fools Who Dream).” These songs aren’t loud and proud show tunes, but rather the fallout of all those who believed that their high school theatre award indicated a prosperous future. It is in these moments that LA LA LAND transcends its genre boundaries. It is no longer another Broadway piece for the archive, but one that dares to center much of its conflict internally, subverting the very nature of the traditional musical. 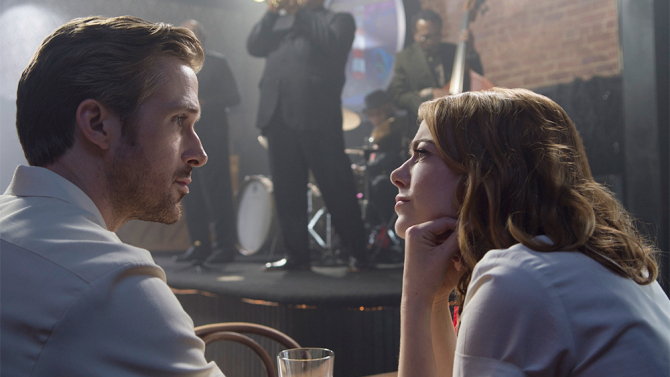 A core thematic link occurs when John Legend tells Ryan Gosling to stop being such a traditionalist about his approach to jazz. Jazz is, after all, about the future, not the past. In the same way, LA LA LAND is a musical created after the novelty of the genre has grown stale to many viewers. Rooting the core narrative fulcrum around the struggle of whether or not these characters will ever be able to sing out their feelings again, Chazelle dares to make a music film in which singing out what you think or feel actually acts as subtext. Gosling and Stone bring so much charm to these complex, deeply troubled individuals, that we yearn for their happiness. Witnessing Stone’s repeated rejections from audition rooms and Gosling’s frustrated performances of holiday jingles and cover songs will resonate greatly with any aspiring artist. During each musical number, the camera gracefully swings around with an almost jazz-like sense of improvisation. When dialogue kicks in, the camera settles, a noticeable aesthetic choice during a dinnertime fight scene. Chazelle understands the hustle of artistry, and his camera reflects the ebb and flow of this pursuit of happiness. He knows there are millions of others that are just like Stone and Gosling’s characters scattered across the globe. 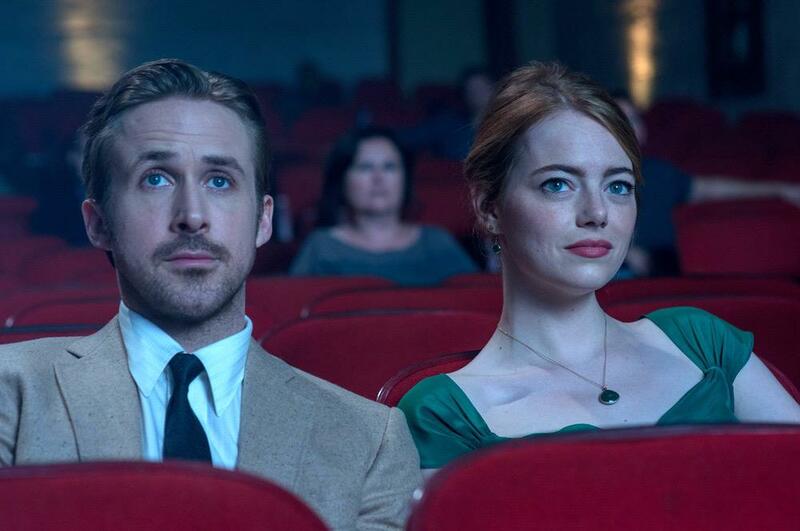 It’s soul crushing and deeply profound, but LA LA LAND dares to be optimistic. Its romance is so seamlessly interwoven into this quest for success, that they can be viewed interchangeably. Chazelle’s third act walks an incredible tightrope. 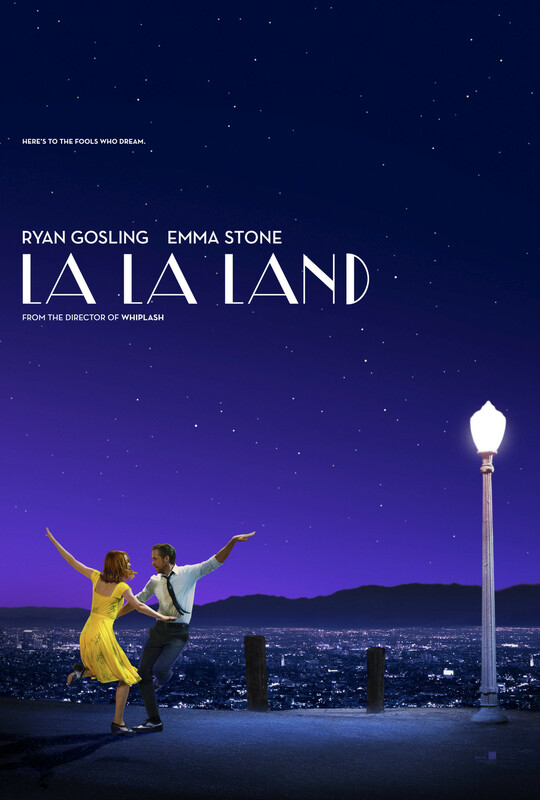 Caving into the romantic desires of the viewers waiting to see this year’s SINGING IN THE RAIN, but never forgetting the audience members who wish to be more intellectually challenged, LA LA LAND gracefully ballets its way into a finale reminiscent of ETERNAL SUNSHINE OF THE SPOTLESS MIND. This impeccable climax manages to pander to an entire theatre of viewers. Young and old, successful or not, LA LA LAND culminates its trajectory by effortlessly telling a story of acceptance. To say that it will leave you in tears is the understatement of the century. Just when you think Chazelle’s narrative is on the road of possibly falling apart, he reveals that he has yet another trick up his sleeve, ending his film with two of the most emotive reaction shots seen in this millennium. “If you could do it all again, would you change a thing?” is a phrase that’s been tossed around a lot in filmmaking, but rarely is it executed with such finesse. Whether a struggling actor in their late 40s, or a happily married mother of two who’s given up on their dreams, LA LA LAND is a film that wants to remind you that there is an entire freeway of people just like you, and despite all the time we spend yelling at one another for our awful driving skills, we are all on the same road to success, one way or another. Next story BIG BABY D.R.A.M. 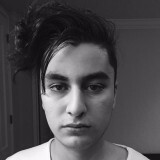 by D.R.A.M.